Takayama Zenkoji is sacred to Ikkou Sanzon Amidara Nyorai. There’s Amidara Nyorai in the center, Kannon Bosatsu on the right side, and Seishi Bosatsu on the left side. There’s a halo behind these three images. The principal image is called “absolute hibutsu”, which is completely withheld from public view. According to “Zenkoji Engi”, Zenkoji Nyorai appeared in India a long time ago when Siddartha Gautama was alive. Later, Zenkoji Nyorai went to Kudara. In 552, it was brought to Japan when Buddhism was introduced. Zenkoji Nyorai is said to be the oldest Buddhist statue in Japan. From a long time ago, it has been said that the principal image can understand feelings of humans and be able to talk to us. Light emits from white hair between the eyebrows of it. There’s a box in Horyuji-temple in Nara called “Zenkoji Nyorai Onsho No Hako, in which important documents of the past were kept. According to the documents, Shotoku Taishi and Zenkoji Nyorai talked somehow. Thus, people have belief that Zenkoji Nyorai can communicate with them. The principal image’s mudra (hand sign) is unique. Amidarabutsu in the center shows palm of its right hand to us (called Semui In). The index finger and middle finger of its left hand are straight while other fingers are bent (called Touin). As Shaka Sanzon Zo in the main hall of Houryuji temple, Buddhist statues of Asuka Hakuhou period have the same signs. Two Bosatsue statues on both sides have rare hand signs called Bonkyou In. Left palm and right palm are put together in front of their chests. It is said that a medicine chest made of pearl is in between hands. Three statues stand on a lotus pedestal. The statue that has these characteristics above is called Zenkoji Amida Sanzon Zo or Zenkoji Nyorai. Takayama Zenkoji is on Japan National Route 158. There’s a big stone monument next to the gate of the temple that says Namuami Dabutsu. This distinctive writing was made by Tokuhon Shonin, a high priest from Ki No Kuni(Wakayama prefecture). Tokuhon Shonin visited Takayama from Shinano No Kuni(Nagasaki prefecture) in 1797. 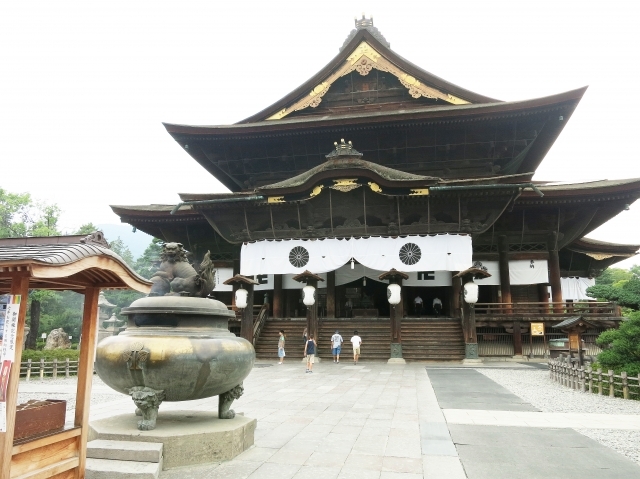 For three days from July 14th, Daiou Temple in Takayama welcomed him and set a pulpit at the verandah in front of the main hall. A lot of people gathered to listen to him every morning, noon, and evening. As a memory of his visit, people decided to build the stone monument at Daiou Temple. People got together and brought a big stone (Daimochi hiki) from Matsukura mountain to Daiou temple to have Tokuhon Shonin’s writing on it. 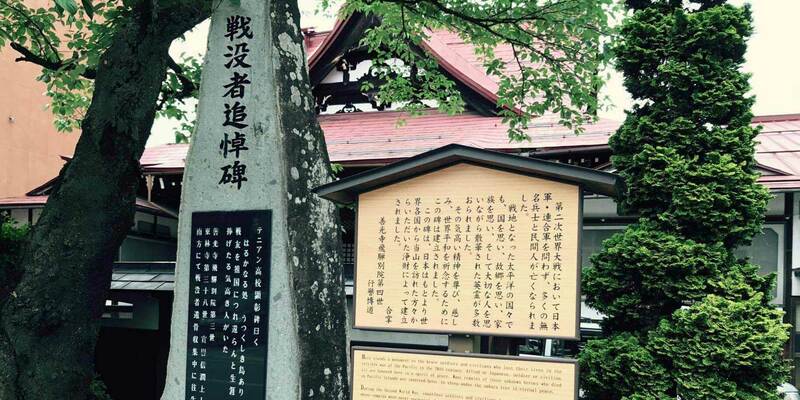 Also at Daiou Temple, there was a plan to make a stone monument of Tokuhon Shonin at an execution grounds, and the plan was submitted to the government. However, in 1803, the commissioner of finance rejected it. Shogun families believed in Jodo sect, and it was thought strange to mourn for the dead of people who went against the government. But in 1805, Daiou Temple asked for the building again, and finally got a permission to build it at an execution grounds in Manninkou. However after 120 years in Showa period, the stone had to be moved due to the road construction. It was decided to move it back to Jodo sect temple, and it stands at the gate of Takayama Zenkoji today. 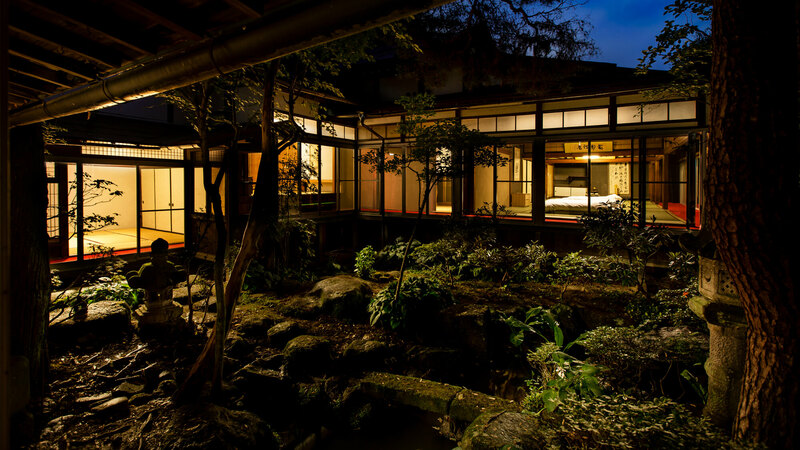 There is a Japanese garden behind the main hall that represents Niga Byakudo. It is a metaphor in Jodo sect of Buddhism in which the road to paradise is likened to a white road between two rivers of fire (greed) and water (wrath). It is believed that if you chant Namuami Dabutsu, Niga Byakudo appears and that leads to the Pure Land. Niga Byakudo was a popular subject in drawings and hanging scroll. The Japanese garden in Zenkoji Temple represents the belief of Niga Byakudou, and it is said that you can reach the Pure Land by chanting and crossing the stone bridge. During WW2, a lot of people of many nations were killed. Shinjun Shonin Ⅲhimself served as a naval aviator, and lost many of his friends. After the war, Shinjun Shonin Ⅲ learned that there were a lot of remains of soldiers still in islands in the Pacific Ocean. He went to those places again and again with Hiromichi Shonin Ⅳ to gather the remains and brought them back to their home country, Japan. They were buried under the war memorial, which was built to pray for world peace. Shinjun Shonin Ⅲ dedicated himself in bringing remains back to Japan. While he was collecting remains in Tinian Island in Northern Marianas, he was drowned and died in the performance of his duties. War memorial is not only for world peace but also to pay tribute to the memory of Shinjun Shonin Ⅲ. Besides Takayama Zenkoji, monuments of honor were set at the grounds of Tinian junior and high schools, and they were still kept there by local students and teachers. 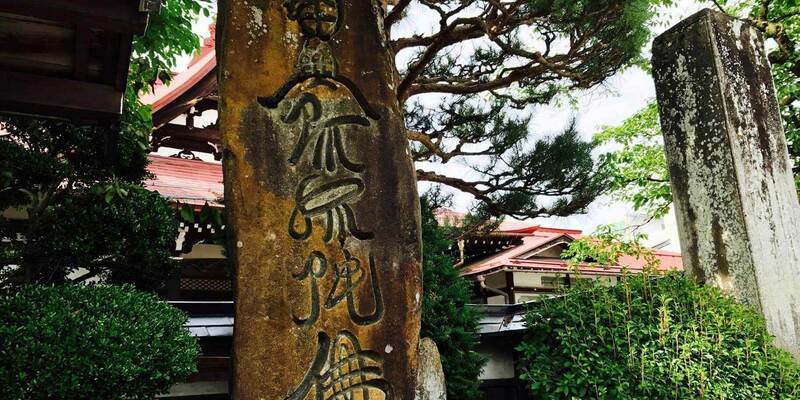 In 1911, 21 sacred places were built in Takayama beyond the differences of religious sects. This Taishi Dou is the second of the kind, and there is a stone, which is said to have a hole that was made by Koubou Taishi’s cane. Takayama Zenkoji received donations to build this Taishi Dou. It is said that Koubou Taishi went around Japan and used his cane to bring water or hot springs to the dry lands. At lands where there were no salt, he brought salt water and made wells. It is believed that blind people were able to have visions by drinking water that he brought, and hot springs cured illnesses. It is said that the water was a panacea that cured eye disease, stomach pain, skin disease as well as scars and burned skin. It was also used to have a safe delivery, to do calligraphy, and to have ceremonies. People who were thankful for the water brought the stone and prayed. It is very hard to make a hole in a hard stone. 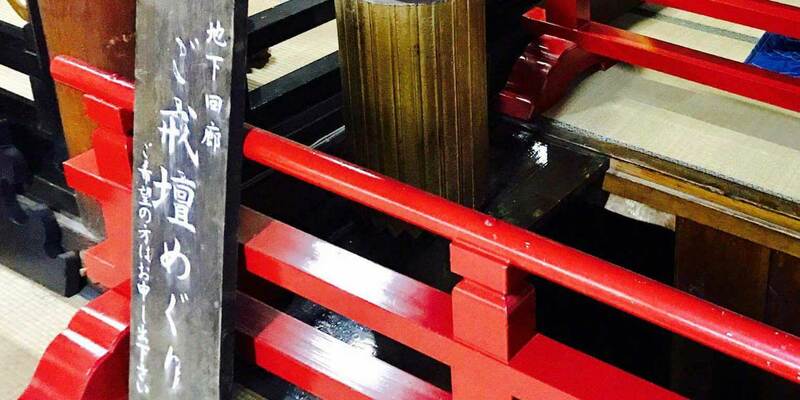 Thus, a stone that has a hole was believed to bring good luck and make a wish come true. “Has a hole” meant “Can see things clearly” and “Hard work will pay off”. At Zenkoji, visitors from all over the country brought stones with holes. It is believed that you get good luck by touching them and if women bring the stone next to their pillows, they will have safe delivery or have a healthy baby. Still now, we let pregnant women borrow these stones. There’s Kaidan-meguri at Takayama Zenkoji just like Shinshu Zenkoji Temple in Nagano. At Kaidan-meguri in Takayama Zenkoji, you go under “Hibutsu” through the complete darkness and touch the lock(of the door to “Hibutsu”) without any help of light. By doing so, you will have good luck and will be purified of all sins. Furthermore, you will be able to reach the Pure Land. Thus the lock is called “The purification lock”. Once you go in, you will walk down a dark hallway feeling your way. After finding and touching the lock, the first thing you will see is the light from outside. When you find the little light, you will be very relieved and be thankful for light and vision. The darkness in Kaidan-Meguri is said to represent the fair world. We tend to be greedy and blind not seeing what is the most important and fight or be jealous and at the end be suffered. However, in the darkness, we focus on finding the lock. It is just like training to become a monk. When you visit Takayama Zenkoji, we recommend trying Kaidan-meguri. The darkness in Kaidan-Meguri is said to represent the fair world. We tend to be greedy and blind not seeing what is the most important and fight or be jealous and at the end be suffered. However, in the darkness, we focus on finding the lock. It is just like training to become a monk. 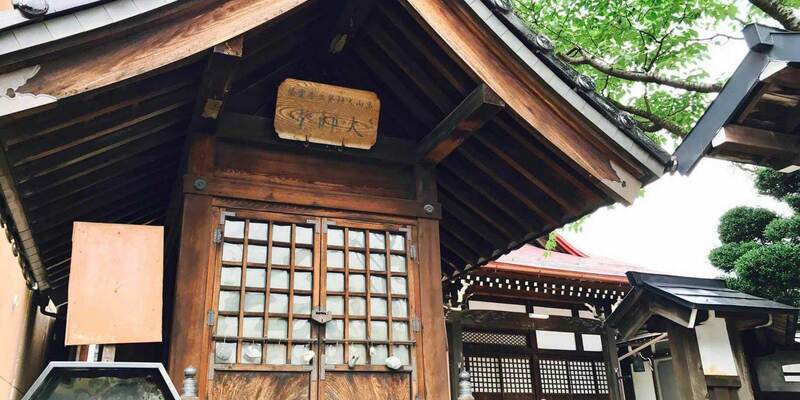 When you visit Takayama Zenkoji, we recommend trying Kaidan-meguri. ※ If you are over 180 cm, please watch your head in the darkness. ※ The purification lock is on the right side, at chest height. Zenkoji in Nagano is a unique temple that is open to anyone of any religion and there is no Danka-Seido(the supporter system of a Buddhist temple). It welcomes people of any age or gender, so it became very popular. It has been friendly called ‘Zenkoji-san’. Zenkoji itself is not a religious temple, but there are Tendai sect of ‘Daikanjin’ and Jyodo sect of ‘Daihongan’ in the temple. Monks of both Tendai sect and Jyodo sect(25 Tendai sect of buildings and 14 Jyodo sect of buildings there) stay and work there. The chief priest of Jyodo sect ‘Daihongan’ is called ‘Zenkoji-Shonin’. Only a noblewoman is allowed to be the chief priest (thus it is called Amadera). ‘Ikkou Sanzon Amidara Nyorai’ (believed to be the oldest principal image in Japan) is enclosed. Zenkoji is a unique, popular temple that is believed to help especially women. In Nara and Heian periods, only men were allowed to enter temples. Jyodo sect founder, Shinran, Soto sect founder Dogen, and a Buddhist priest Nichiren were against the tradition. These three historic figures led Kamakura Buddhism revolution, and eventually women started to pray at Zenkoji. In Zenkoji-Engi, it is written that a daughter of a noble family was saved from illness thanks for the prayers of Zenkoji. Thus, Zenjoji is believed to give help and save women. In Kamakura period, Masako Hoji, wife of Minamoto no Yoritomo, was a faithful prayer of the temple. In Edo era, the half of prayers were women, and even today, a lot of women visit there. Ikko Sanzon style of Amida Nyorai is called ‘Zenkoji Nyorai’. It is a Buddhist statue that has a boat-shaped halo and Amida Nyorai, Kannon Bosatsu, and Seishi Bosatsu. It is kept hidden from view. 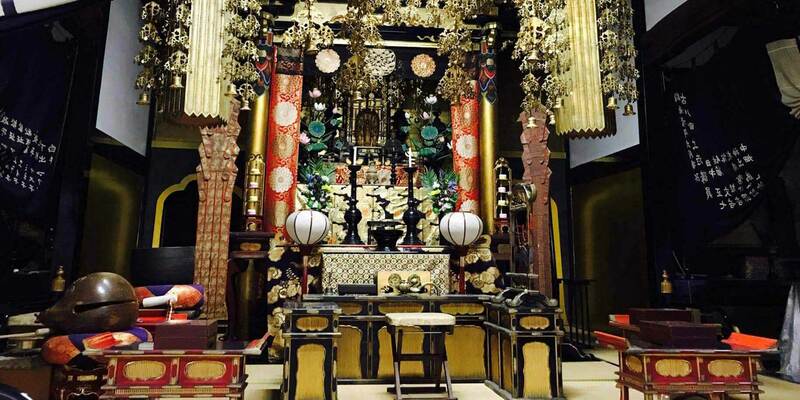 The temple has a period of ‘Gokaicho’ once every 7 years when a replica of the statue is shown to the public. A lot of pilgrims visit Zenkoji during the period.